Air France is to increase capacity by 24pc on its Cork-Paris Charles De Gaulle service, adding 336 seats per week. 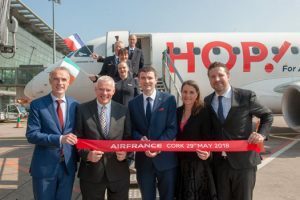 Air France began operating a daily flight between Cork CDG in May, on flights operated by its Hop! subsidiary. The route, initially announced as a seasonal service, was later extended to year-round due to positive bookings.